WordPress platform has provided bloggers with a set of tools for easy sharing. The Three Lions of Links, Reblog, Press This and Embeds. For those who began their blogging journey with WordPress.com we all are familiar with Reblog. It provides a simple way to spread popular content across multiple authors and users or readers. And with blog authors always giving due credit, reblogging is a social networking through blog. As a part of the effort to constantly improve the WordPress platform, the blogging scientists at WordPress keep adding new and new features to make blogging more exciting and fun sharing. In this article we will look at the details of the other two tools used for sharing, Press This and Embeds. Reblog is just the press of a button. If your site is hosted on WordPress.com, that is essential, your readers will see the small Reblog button at the end of the article. Clicking on that starts a process which terminates in the article being shared on your WordPress.com blog with proper credits and comments of course. But this feature is limited to only users of WordPress.com and that too both the author and read has to have a WordPress.com blog only. Which leaves out a huge majority who use WordPress on a self hosted site. And for a self hosted WordPress site, there is Press This. 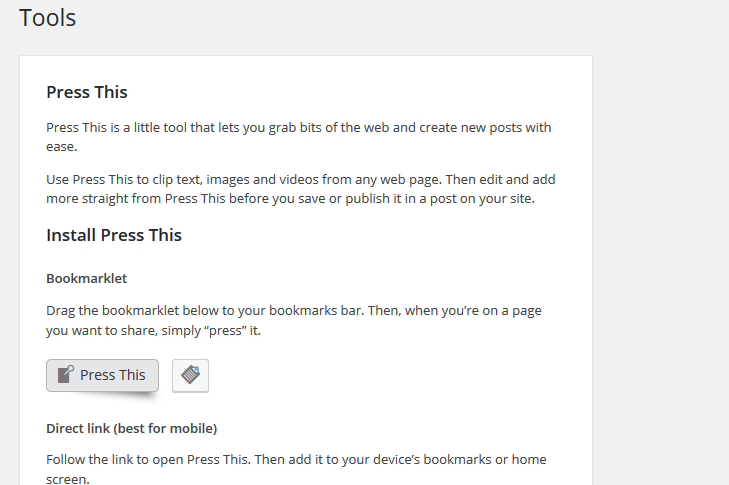 For users of WordPress.com here is a simple tutorial on how to use Press This. For self hosted WordPress blogs or websites, go to your WordPress dashboard and Click on Tools. Instructions are pretty simple, drag the bookmarklet to the bookmark bar of your Web Browser. After that the next time you are on any WordPress site reading an article, just click on the Press This button in your Web Browser. It opens the following options. Photographs from the article neatly arranged. Snippets information neatly captured. Format, Categories and Tags can be specified. Under the Publish option it can also save as a draft to be published later! 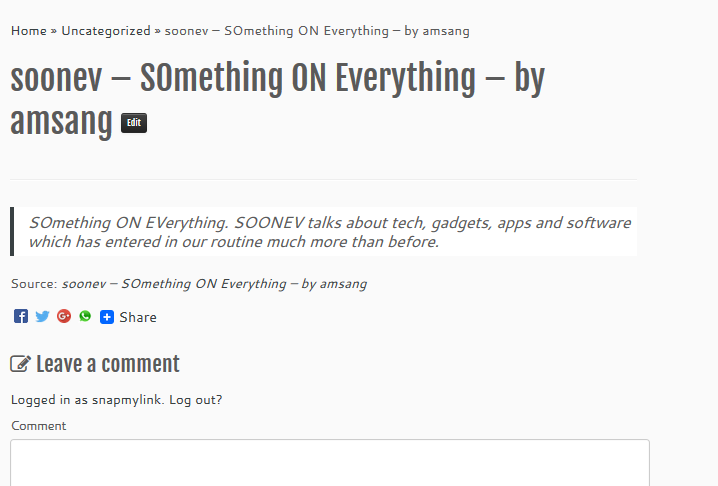 You can also add more links if required, like links to the author page. 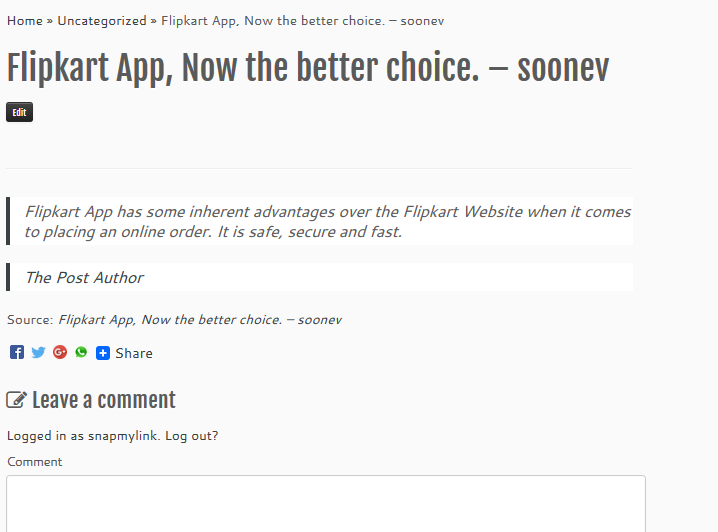 This is how the post will appear on your blog. Here is a link to the re blogged post. You can reblog or Press This an entire site too with this tool. Here is a link to the reblogged or Press This repost. Have the readers notices, all throughout this article, how the links which have been posted here appear in a certain strange but exciting way. 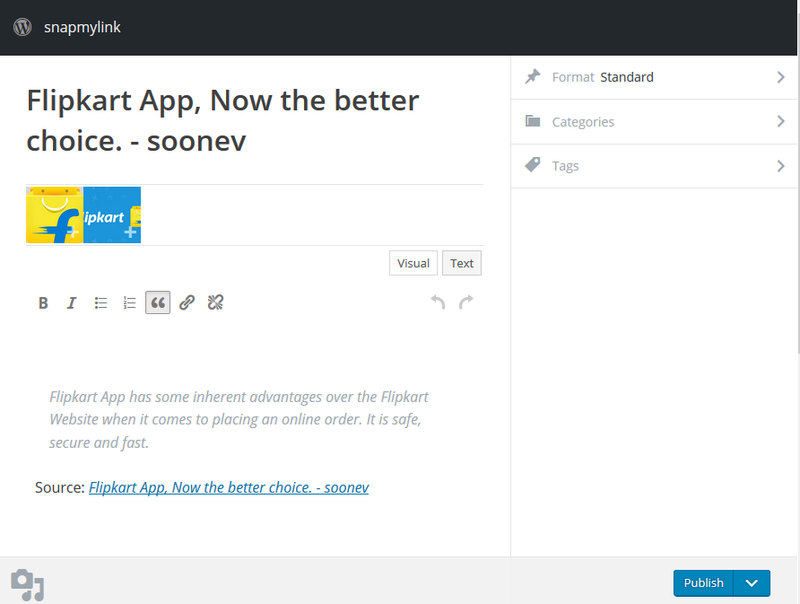 Traditionally WordPress used to show links or hyperlinks like this….shown below. But with WordPress 4.4 onwards, these links have been given a special treatment. Here is what will happen when you paste the above link in the editor. Welcome to WordPress Embeds, WordPress 4.4 onwards. The featured image, snippets, the website link, comments and sharing option in a nice and striking box. All links are do follow. You need some other things to make them no follow. How will Google treat these links. Well keep a watch on updates. But right now since its from WordPress, it is fine. Remember blogging is sharing is fun. Now that was a lot to read but still, helpful!